Every outdoorsman deserves a nice pair of rugged, yet comfortably fitting pants. Designed for the rugged outdoorsman and avid adventurer, the Alpha One waterproof, wind resistant soft shell pants have been recently updated to match the colors of our best selling Alpha One Midweight jacket. The waterproof, wind resistant, quick-drying Alpha One insulated pants were built to brave mud, thick brush, and get you through a variety of harsh weather conditions comfortably, and completely unscathed from mother nature's wrath. FREE SHIPPING (US & Canada Only): In stock. *Ships 2 to 5 days* Estimated shipping time 1 to 3 weeks. Waterproof & Wind Resistant - Protected by a triple-layered and PU coated properties, the soft cotton with wool fleece interior is protected by a wind resistant and waterproof exterior, protecting you from the elements. Available In 16 Colors - Recently updated, the Alpha One fleece lined insulated pants have been updated to match the colors and patterns of our top-selling, Alpha One Midweight Jacket. Thermal Protection - Constructed with a warm and comfortable cotton, wool combination, the interior lining offers strong thermal performance and insulation. For every United by Blue product purchased, United by Blue removes 1lb of trash from our world’s oceans and waterways. GUARANTEED SAFE CHECKOUT: VISA | MASTERCARD | AMEX | PAYPAL PLEASE FEEL FREE TO EMAIL US WITH ANY QUESTIONS!  At The Offroader Supply Co., our partner brands are not only chosen for their high-quality products, but also because they give back and represent environmental and socially responsible values. Each time you shop with us, you have the ability to positively impact and support environmental, humanitarian, and clean water conservation efforts across the world. To find out more about our mission and your impact, please visit our About Us page. Before finalizing your order, please be sure to see our sizing guide. Took a little while to ship but the product is amazing. © 2018 THEOFFROADER™, ALL RIGHTS RESERVED.